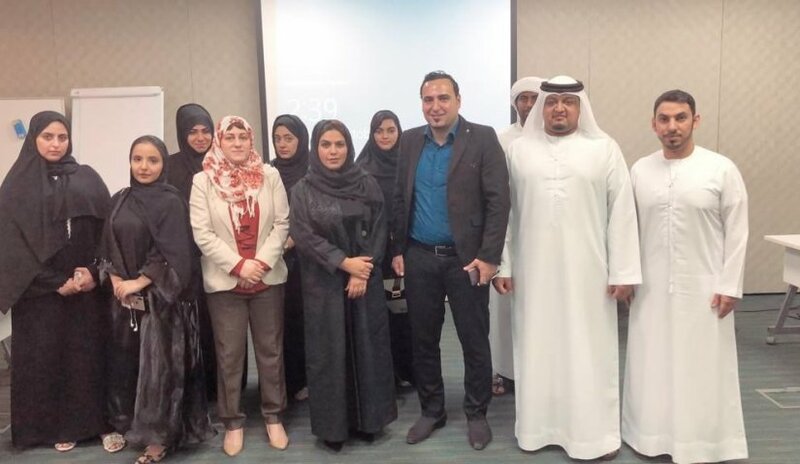 A delegation of students from Al Falah University participated in a scientific meeting organized by Dubai Customs to spread the concept of intellectual property among the different sectors of UAE society. During the meeting, the students learned the concept of guaranteeing the rights of consumers against cheating and fraud on the specifications of industries or goods. The student delegation was accompanied by Dr. Mohammed Najm and Dr. Nadia Al Bayati from the Faculty of Law.